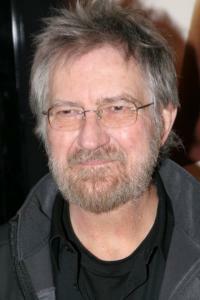 Tobe Hooper (William Tobe Hooper) is a 5' 7" (1.7 m) American film director, screenwriter, and producer that was born on January 25, 1943 in Austin, Texas, USA. He was born to mother Lois Belle and father, Norman William Ray Hooper, who is the owner of a theater in San Angelo. He became fascinated with making films when he was nine-year-old and used his father's 8mm video camera for the first time. He attended the University of Texas at Austin and took Radio-Television-Film classes. He then studies drama in Dallas under Baruch Lumet. He is best known for his work on horror films including The Texas Chain Saw Massacre (1974), Salem's Lot (1979), Poltergeist (1982) which was based on Steven Spielberg's story and The Texas Chainsaw Massacre 2 (1986). He made his own cast in 1974 consisting of college teachers and students to be part of him and Kim Henkel film; The Texas Chain Saw Massacre (1974). He based the movie on real life cannibalistic serial killer Ed Gein, who murdered several people in the 1950s. Tobe became famous for this movie making him known/recognized in Hollywood. The Chain Saw Massacre (1974) is a horror classic today. - He worked as a documentary cameraman and a college professor in the 1960s. - He has two kids, William Hooper and Tony Hooper. 2009, October 2009 - Twisted Pictures which is a company behind the Saw films bought all rights to The Texas Chainsaw Massacre. 2013 - Twisted Pictures made Texas Chainsaw 3D (2013) which is a new film. 2011 - Tobe’s first novel, Midnight Movie, was published on Three Rivers Press.